to schedule any of the Feng Shui consultations below or to customize a consultation to focus on another of your individual needs. 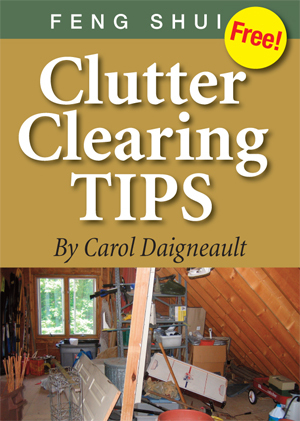 Contact Essential Feng Shui Practitioner Carol Daigneault to discuss your specific needs and set up an appointment. For me, striving for harmony in my environment was directly related to seeking a greater peace within myself. Feng Shui helped me establish a strong, external balance in my surroundings which provided encouragement for my deep, inner inquiry. The results guide me toward an inner and outer expression of peace. My Feng Shui practice helped to reveal an Inner Feng Shui. 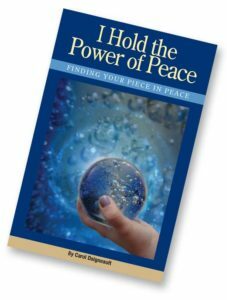 I Hold the Power of Peace explains my technique for practicing inner peace and the potential this journey holds to improve our world – and why we should care. Contact me for special pricing on bulk orders of I Hold the Power of Peace books and bumper stickers.